Edward Frederic Benson (1867 - 1940) was an English novelist, biographer, memoirist, archaeologist, and short story writer, best known as the true master of the gothic occult story. 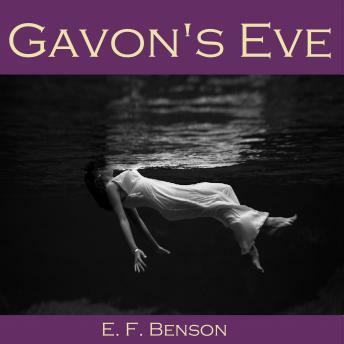 Gavon's Eve is a terrifying story of mysterious occult devil worship and witchcraft which pervades a remote rural district in Great Britain. When two aristocratic anglers decide to investigate the bizarre and sudden superstition of their ghillie, Sandy, about a particular spot on the river, they a bizarre tale. Sandy's strange affinity to a reclusive old hag who lives alone in the hills turns out to be far more sinister than either of them could have imagined and a night's investigation on the local version of hallowe'en, (Gavon's Eve) turns into a scene of sheer horror.